Agriculture, the number one industry in Mississippi , brings $7.4 billion to the state and employs, either directly or indirectly, approximately 29% of the state’s workforce. With approximately 37,100 farms statewide covering 11 million acres, agriculture makes significant contributions to all of Mississippi’s 82 counties. The Market Development Division is dedicated to promoting and heightening the public’s awareness of Mississippi ‘s agriculture commodities and the farmers and ranchers who produce them. This is accomplished through participation in trade shows, conferences and fairs, international trade, presentations to schools and civic organizations, promotion of local farmers markets, contact with other agricultural organizations and commodity groups, and various other communication outlets. 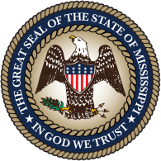 Also, the division oversees the Mississippi Market Bulletin, the Good Agriculture Practices/Good Handling Practices Cost-Share Program, the Genuine MS Program, Specialty Crop Block Grant Program, Agritourism Registration Program, Certified Farmers Market Programs, and the Livestock Market News for the State of Mississippi. Genuine MS is a program created by the Mississippi Department of Agriculture and Commerce to promote and bring attention to the incredible range of agricultural products grown, raised, crafted or made in our state. Genuine MS works with producers to enhance your marketing efforts, while helping consumers find your products. Always look for Genuine MS. The very best of everything Grown, Raised, Crafted and Made in Mississippi.